This internationally renowned guide to basic arithmetic for nursing students has been fully revised and updated for a new generation of readers. 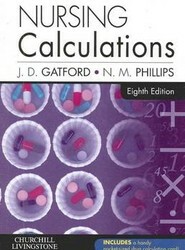 Now entering its ninth edition - with over 200,000 copies sold worldwide - this popular and friendly volume has been designed to make medication calculations straightforward and easy to perform in a variety of settings. 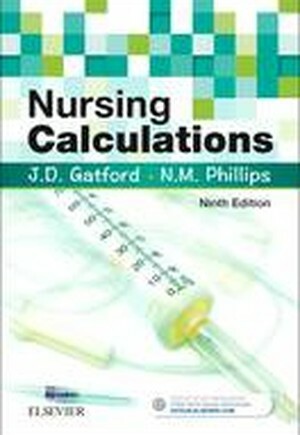 Written in response to nurse educators, Nursing Calculations features an initial self-testing chapter to help readers to identify and address areas of difficulty before moving on to numerous practical examples. Chapters then cover the core areas of clinical practice including calculations relating to oral medications (including both tablets and liquid form), injections, intravenous infusions and intravenously administered medication, and paediatric specific medication. Throughout the book, emphasis is placed on giving confidence to the reader by explaining in a step-by-step manner how the correct answer is derived together with a wide range of practice questions and later revision opportunities. This edition comes with a quick-reference card to fit in the pocket to remind readers of essential formulae and an additional on-line question bank to allow readers to practice their calculations on the move! Nursing Calculations will be perfect for student nurses and midwives at different levels in a variety of courses, 'Return to Practice' students, student paramedics and anyone involved with medication administration in the healthcare setting.